I went back to Pub Run tonight for the first time in several weeks. It was raining and cool and a great run. I didn't stay long at the pub afterwards, because apparently I start turning into a pumpkin aroun 9:30PM. but whatever. It was a good night and now there's only one more morning until a nice long weekend. Do you believe in signs? In the universe or God trying to make you see something? I definitely do. For the past few weeks, this quote has been following me around. In TV shows, on the radio, it just seems to pop up every couple of days. In a literal sense I understand what it's saying, but I'm not sure how it applies to me yet. I'll have to keep thinking about it, but either way it's good advice. I finally reached my 30lb goal. It feels like the last five pounds have taken for-ev-ver and to be honest I've been having trouble staying motivated. Last week was especially hard and I just could not find the energy to plan my meals or my grocery shopping. Thank heavens for Publix Rotisserie Chicken. I went with a few friends to try and catch the preview of Transformers 3 tonight, but it was already full when we got there. So we saw Bad Teacher instead, it was mildly funny with a cute ending. Also, my next library book is in so I'm excited for that. Today was another fun mostly productive day. I got a haircut, went accessory shopping with BFFMandy at Charming Charlie an interesting new store near our house, went grocery shopping, and made my dinners for the week. I am still super sore from bootcamp yesterday and apparently I'm crazy because I'm planning on going back tomorrow after work. Let's home I can move by then. It's almost 3:30AM and I'm just writing my post for June 25. I'm writing so late because I was having a night out with the girls. I hope Sasha, Christina, and Vicky all had a wonderful birthday celebration! More on today's happenings after I've had some sleep. 1. Cheerios is celebrating it's 70th Birthday this year; they've been General Mills top-seller since 1951. Go figure. 2. There are 185 Days till Christmas. Just an FYI. 3. New Harry Potter stuff!!! Check out www.pottermore.com! 4. True Blood is back on Sunday. I won't be able to watch it because I don't have HBO, but I'm excited anyway. 5. I'm going to a bootcamp class with a friend tomorrow. I think I might actually be crazy. Today was a pretty good day. My head finally seems to have moved from roaring pain to a dull ache, but I'm still pretty tired. Going ot bed a little early tonight and hoping I'm back to normal in the morning. I love being in the kitchen. I love trying out new things and testing new recipes. but sometimes after a long day at work I don't want to spend 45 minutes prepping ingredients or an hour cooking. I just want something healthy (and hopefully points-plus friendly) on the table fast. So I'd like you to meet my long day dinner BFF. The grocery store chicken. Now I know I could roast a chicken myself, but that takes more pre-planning skill than I generally have. This sucker is four meals easy or more depending how you fix him up. So don't judge and try this quick yummy chicken salad. 1. Remove chicken breast meat from whole chicken. Chop or shred; reserve thighs and wings for another use. 2. Combine chicken, pesto sauce, sun-dried tomatoes, walnuts, yogurt, salt, and pepper. 3. Serve on the bread of your choice or on a bed of lettuce. I didn't post last night, because I was in bed at just about 6PM. Even though it's felt hot, humid, and sticky for three weeks here yesterday was the the first official day of summer. We had our first official summer rain storm and I had my first storm induced migraine....color me not surprised. At least this morning I feel marginally better. I was feeling fairly stressed and generally grouchy when I got home from work today, but after a glass of wine and finally cooling off I'm feeling much better. I know that my posts have gotten shorter and shorter the last few weeks and I attribute that mostly to stress. I'm aiming to do better. I wrote on Mother’s Day how grateful I am for my Mom and how much I’ve learned from her. I am one of those people who is lucky enough to be incredibly close to both of my parents. My Dad is also a pretty amazing guy. My Dad was my softball coach, my Algebra champion, and my Indian Princess partner. He’s my fellow ice cream lover, football fan, and Star Trek aficionado. 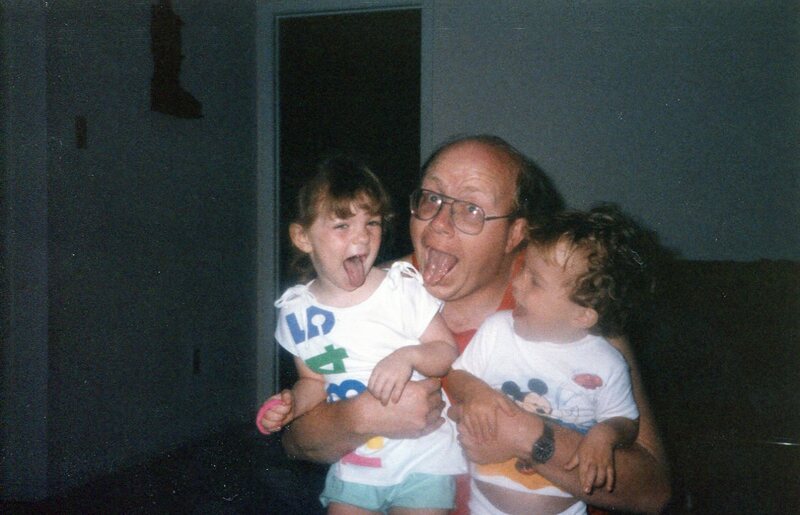 He taught me how to use a kazoo and listen to *NSYNC on tape every morning for a whole school year; he also took me to see *NSYNC in concert and did not complain once. He taught me to shoot a three pointer, grill a hamburger, and build a sandcastle (even though he's a sand architect and I am really really not). He taught me to always have respect for myself. He came to every concert, half-time show, and marching band parade; and always made sure I could hear him above the crowd. He always lets me know how proud I make, but he also pushes me to be better, try harder, and never give up. And he catches me when I fall. He taught me to be adventurous, silly, respectful, perseverant, and kind. 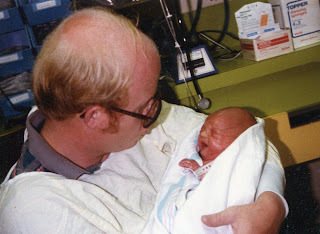 My Dad has done hundred (probably thousands)of things for me through the years, some big and some small, and they’ve all shaped me into the person I am today. My Dad is an amazing person who for my whole life has shown me what a father really is. Thank you Dad for always being there to teach me and help me along the way. I love you. Technically this is my post for Saturday because I have not been to sleep yet. Everyone is home from their travels safe and sound. I had dinner with Mom, Dad, and Greg, then finished a batch of Bananas Foster Cupcakes (more on that later...promise), and spent awhile talking and catching up on family news. Now I'm going to sleep so I can be ready for tomorrow's Father's Day excitement. 1. I'm so glad it's the weekend. I pretty sure this is a given, but I needed to say it anyway. 2. How cute is this? I'm not really a pie baker, but if I was I'd totally buy this. 3. Did you know there was a lunar eclipse this week? It was visible in Australia, parts of Asia, Europe, and South America. So basically everywhare in the world but here. 4. I saw this cute vintage tee online the other day. Love me some old school Disney. 5. Macarons last week were a total bust. Lame. I'm so glad it's almost the weekend. I definitely need the break even if it is brief. I love falling asleep to the sound of the rain. It's super relaxing. I'm going back to sleep. I'm up a little this week. I'm mostly chalking this up to that time of the month and water weight. I did make some not so great eating choices this week (I'm looking at you totally tasty friend fish tacos). I also have been sort of lax with my tracking. I finally, finally, finally made it back to my meeting though so hopefully I will be back on track this week. I just finished The Lost Symbol at lunch today. 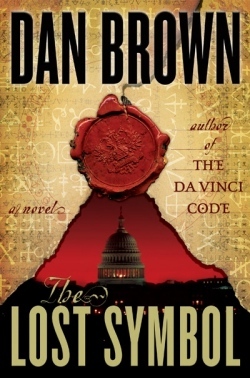 In the third installment of the Robert Langdon series, the Harvard professor is called to Washington D.C. by his good friend Peter Solomon to give a speech at a high society gala. When this turns out to be a ruse the mystery, clue-producing, adventure ensues. Let me just be honest, as much as I really like both Angles and Demons and The DaVinci Code I was not really a fan of this book. The clues and the mystery weren't as crisp or as fun, the book took too long to get going (almost ten chapters), and the plot got muddled by too many chapters about nothing. Also, it seems like Brown got very wrapped up in his own mythology; there were whole passages and half chapters of historical info that did nothing to advance the plot and only slowed down the story. I did learn some interesting trivia (which anyone who knows me knows I love). Overall I'd give this book a C-. Today was a nice relaxing day. I did some chores, ran some errands, read a little, watched some mid-90s TV (thanks internet), made a super yummy dinner on the grill, and now I'm headed to bed. 1. Today is National Herbs and Spices Day. 2. I'm about halfway through Dan Brown's The Lost Symbol it took for-ev-ver to get going (seriously like ten chapters), but it's getting pretty good now. 3. I have a bunch of egg whites leftover from making ice cream earlier this week; I think going to try making Macarons tomorrow. 4. If you live in Tampa and you haven't been to California Tacos go. Seriously. Amazing! 5. A special thanks to my officemates (I'm actually not sure they read this). You ladies are wonderful and amazingly supportive. I appreciate you all so much. The pub run was tonight; only seven more runs till I get my pub run t-shirt. It's always fun (or at least the pub after the run is fun) and I'm always super zonked afterwards. I should plan better so I still have something substantial to post. Also, the Oldsmar Tap House run is tomorrow another night of running and beer...it should be fun. Yes, I am a slacker and I did not post yesterday. I was making ice cream and I fell asleep. Anyway...I lost 3.6 pounds this week, well technically it was over two weeks. I feel like I'm entering the looooong stretch of few goals, also I think this sounds like it could be the title of a Harry Potter book. I guess I sort of feel like I'm not celebrating the losses as much, but I'm still beating myself up over even the smallest gains. My next goal is another 10% of my starting weight so at least I have something to work towards. I seriously need to learn to follow directions. Life would be sooo much easier that way. Next Food Network Star is back on TV tonight. I wonder if this will be a season of super awesome folks like Aarti or reeeealy irritating ones like Melissa D'Arabian. We'll see I guess. I really love short weeks; when Friday basically comes on Thursday. I've skipped Things I Love Thursday for the last few weeks for several reasons, but I thought I'd try out a new-ish version this week. Welcome to the first ever Friday Finds; where I share with you five interesting and cool things I have seen, experienced, or learned this week. 1. This pretty awesome lipdub. I actually just saw this on the news tonight. It's a little long, but very cute. Although I'm not sure how successful it is at making me want to travel to Grand Rapids. 2. Did you know...that cheetahs have twice has many vertebrae as humans? I learned that at Busch Gardens on Sunday. 3. Love this post from Jessica over at The Novice Chef. I share her Diet Cherry Limeade obsession. 5. I need new book recommendations, preferably fiction or biography. Go! Terrible headache tonight. Skipping my run to go to bed early...this has been a lame blog week. Yay! It finally rained here today after weeks of dryness. The storm gave me a headache though, so I'm going to be early. Hopefully I'll feel better in the AM.